Let your imagination unfurl with the brand new Tag Staples from Graphic 45! These incredible new Tags are made of quality Kraftboard, formed with exquisite detail to resemble the classic packing of Graphic 45 Staples! Finally there’s a vintage-inspired tag for all of your papercrafting needs! Each pack contains six stunning ivory tags with beautiful ivory colored brass eyelets affixed at the top. 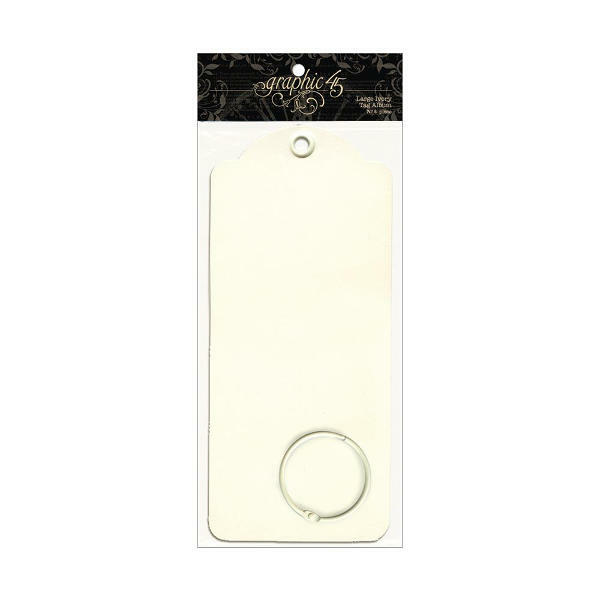 A lovely ivory colored brass ring binds the tags together, making them perfect for mini albums or calendars. Unfasten the brass ring for easy access to individual tags. Graphic 45 Tag Staples were crafted with exceptional design and durability to let your creativity reach great new heights!